"Kammarton Bulgaria" imported an equipment from Enerpac for USEA (VSU) "Karavelov" in Sofia. This is a unique equipment for Bulgaria and neighboring countries. 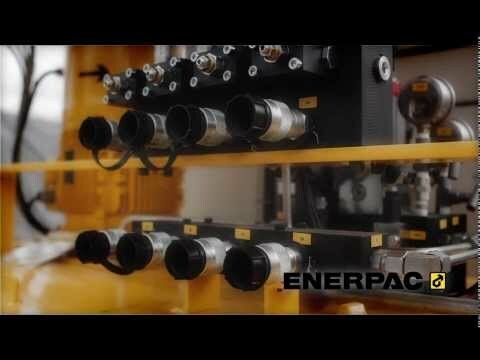 The EVO - Series, Synchronous Lifting System is the evolutionary result of more than 25 years experience in specialized hydraulic engineering and lifting technology using digitally controlled hydraulics. 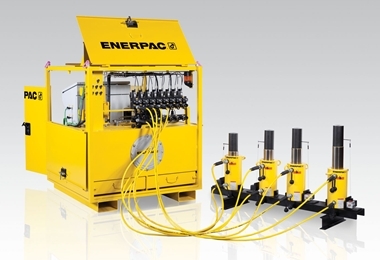 The Enerpac EVO-Series, Synchronous Lifting System combines high pressure hydraulics with computer controls to monitor and control precise movement and positioning of heavy loads. Through an integrated human machine interface all movements are managed from a central control position that displays live operation with real time status updates for each lifting position. The applications are in: Bridge lifting and repositioning, Bridge launching, Bridge maintenance, Incremental launching and box jacking, Lifting and lowering of heavy equipment, Lifting, lowering, leveling and weighing of heavy structures and buildings, Structural and pile testing, Lifting and weighing of oil platforms, Foundation leveling of onshore and offshore wind turbines, De-propping/load transfer from temporary steel work, Foundation shoring.